This will be my 500 th blog post on www.xworldmusic.wordpress.com. I started to blog there , with the kind permission of Xandi , last year in may . Til this day i´ve posted nearly every day one or more music examples of worldmusic. 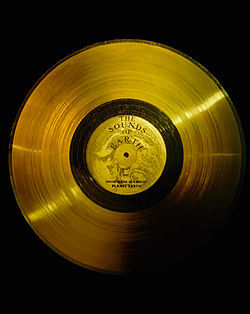 And i decided , the 500th must be one with a topic and i found yesterday on Cordulas Site this article about Voyager One , a satellite which left in these days our solar system. 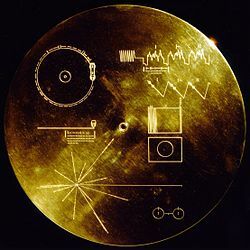 I decided to post the track list of this record , because i believe it´s a good part of our human musical creativity and the examples are coming from all over the world , from different countries , cultures , languages and genres – and at least we should know ,what kind of music material we ´d like to offer to the aliens , don´t we ?? Post Scriptum : Thanks , really thank you , for all my/our followers !!!!!!!!! !